Welcome! Yesterday was World Cardmaking Day and I created this card for the occasion. I used some of my newest stuff from Tim Holtz and got a little crazy if you know what I mean. I'm entering this card in the World Cardmaking Day Contest over on the Simon Says Stamp Blog. Thanks so much for stopping by! Your card is GORGEOUS! 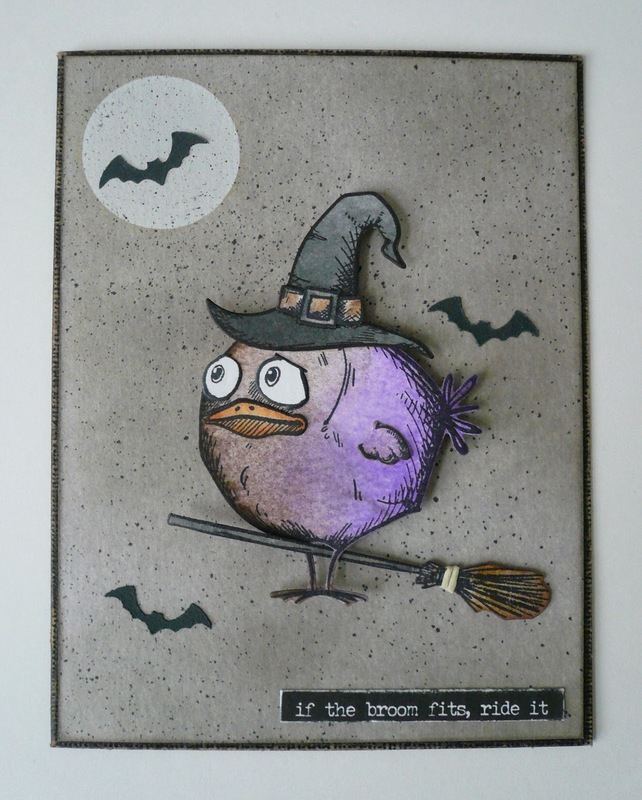 I LOVE your cute purple bird on the broom! He is sooo cute! Thank you for sharing and inspiring!